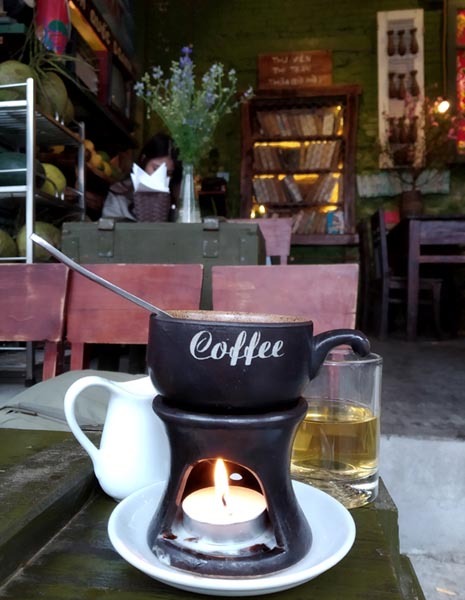 Vietnam as a country is unique in its cafe culture, from as far south as Phu Quoc Island to as far north as Hanoi. 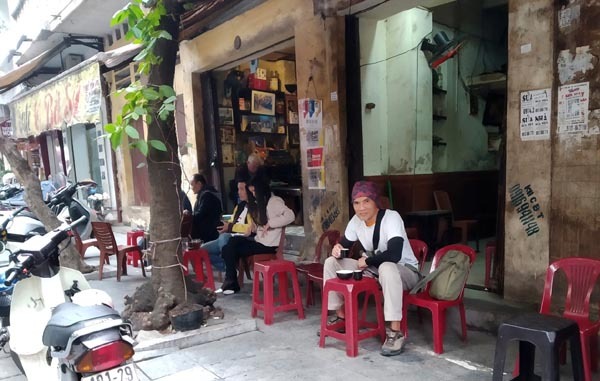 At the Old Quarter of Hanoi where shophouses are clustered according to trade, you would still see cafes sprinkled here-and-there. 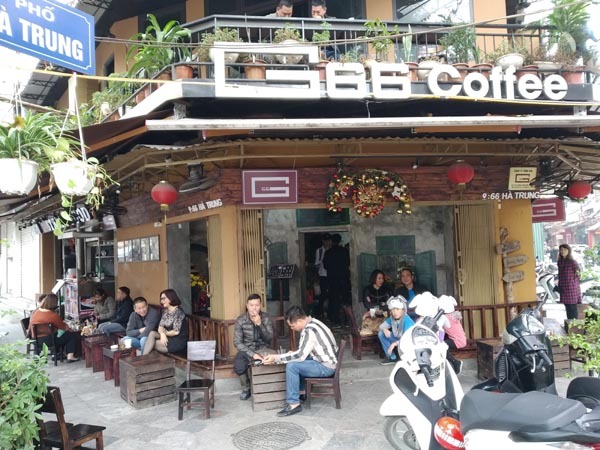 Of course, there is a bustling cafe cluster within the Old Quarter as well at the intersection of Hang Mam and and Nguyen Huu Huan streets. 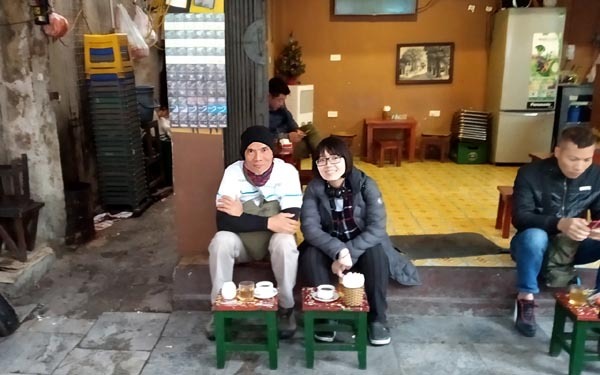 We're not just talking proper cafes ala Starbucks but a whole array of cafe offerings from pedestrian sidewalk types, traditional quan-type (ground space on a private house) to fine-dining type cafes. 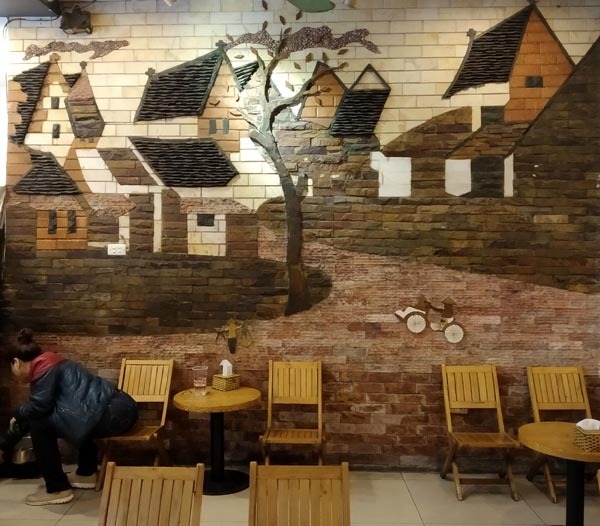 Old people, office workers and the hipster-ish crowd find their own hole catering to their demographics as they enjoy their caffeine fix on kindergarten chairs and tables (you'll know what I mean when you get there). 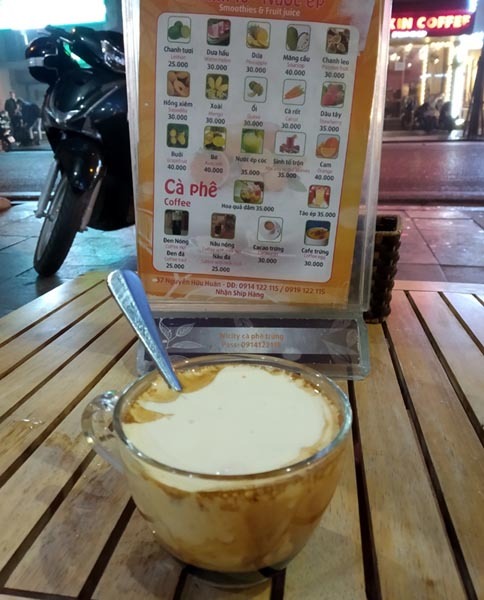 Another original here in Hanoi is the egg coffee or caphe trung. 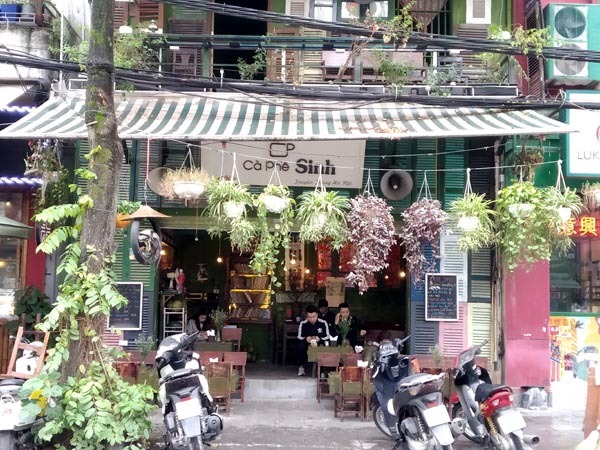 Nearly every cafe in Hanoi now serves this largely to its tourism-lure. 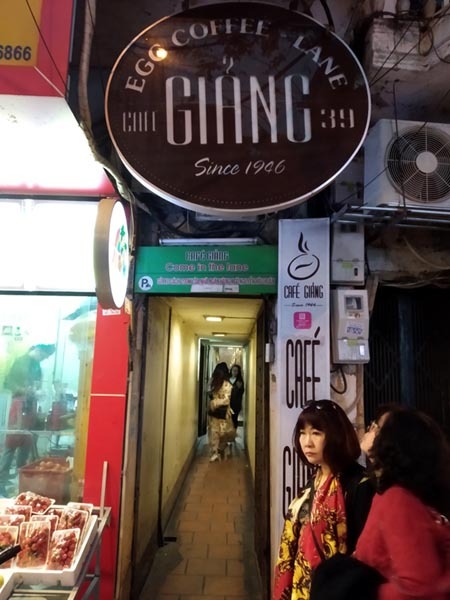 One cafe seems to have an undisputed claim to its origin - Cafe Giang. Despite a map and being in front of its entrance, I still missed it a few times given its non-lit sign and narrow entrance. 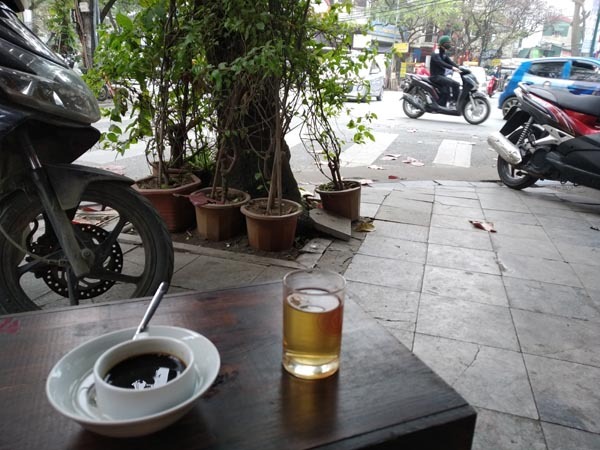 Surprisingly, while other 'copycats' price their egg coffee at 35k VND, Cafe Giang tags a modest 25k VND for caphe trung - the cheapest I found in Hanoi. 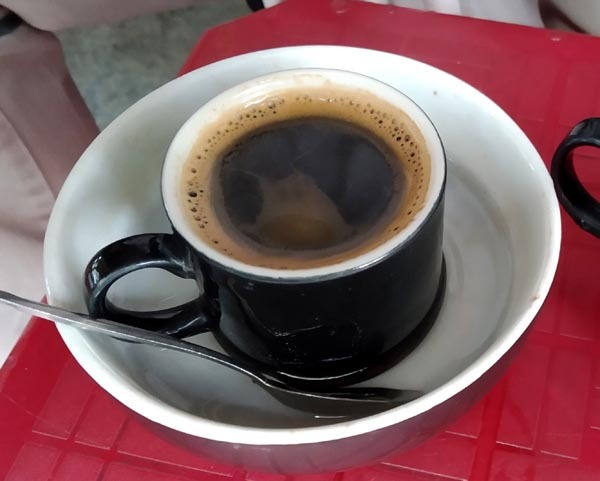 Egg white is whipped to a merangue-like consistency and topped-up on strong Vietnamese coffee. It's a novelty worth trying. The Old Quarter is a walking enclave. 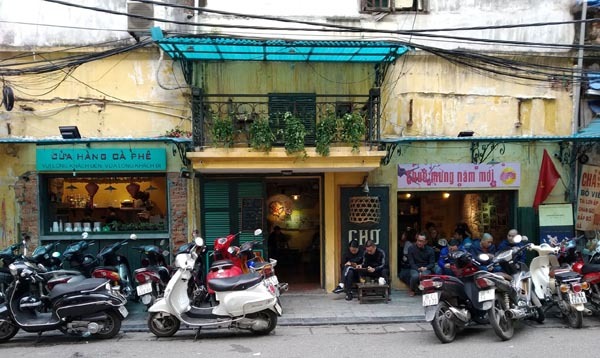 You can devote a full day just getting lost in its myriad of deep narrow alleys and bustling roads dodging motorcycles left and right. 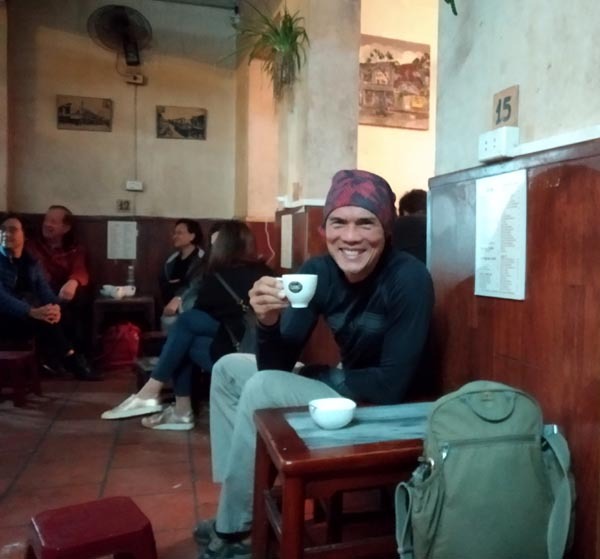 Fortunately, wherever you are on that walk you, you can always take pleasure on a cafe around the corner for a leisurely rest-stop and watch people pass by before moving on. The airport is about 30kms away from the Old Quarter so it could be pricey if you cab it. For budget travelers, there is the air-conditioned tourist bus #86 which starts from inside the airport when you walk out the door and takes you all the way to Old Quarter for only VND35k, 30 mins. NOTE: if you use Google Maps, it will tell you that you have to walk 1km to catch the #86 bus along the main road - this is wrong! 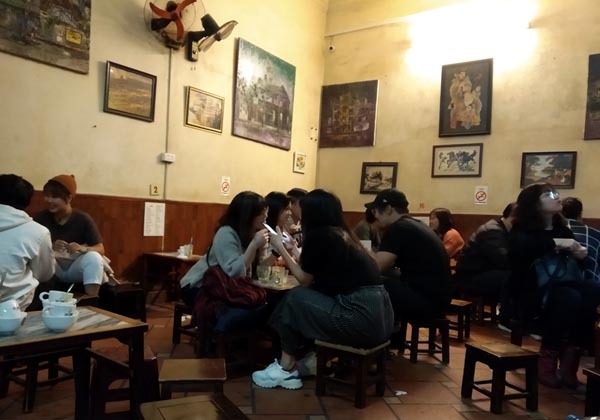 street culture is alive and kicking at the Old Quarter. 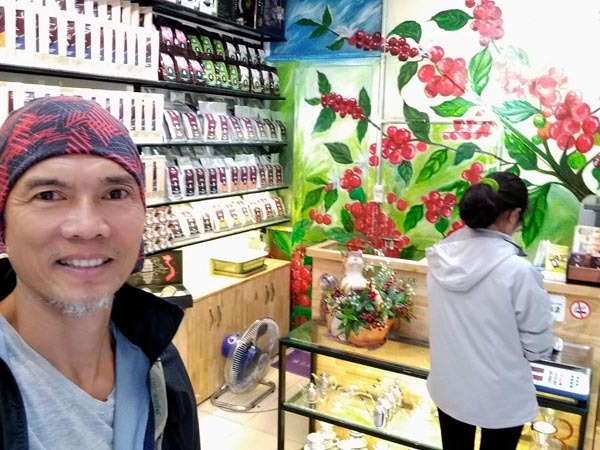 Family-owned and managed shophouses who have been doing their trade for generations are still around. Old Quarter hasn't been touched by shopping malls yet. best place to exchange foreign currency is with the jewelry/gold shops (see list on map). Worst place are the tour shops/hotels. 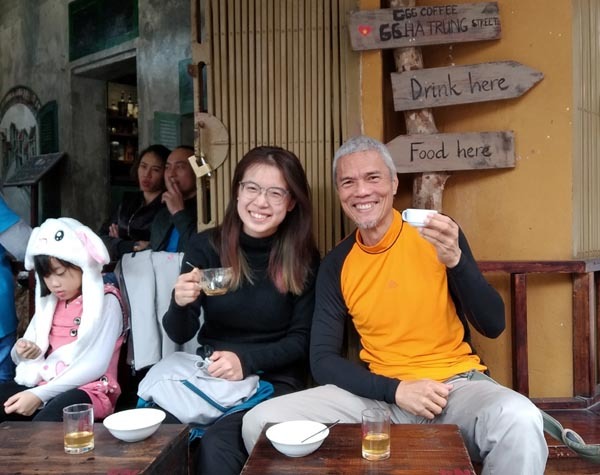 BEWARE of resto tourist traps. Usually, they sell only one meal like Bun Cha. No menu, no prices. 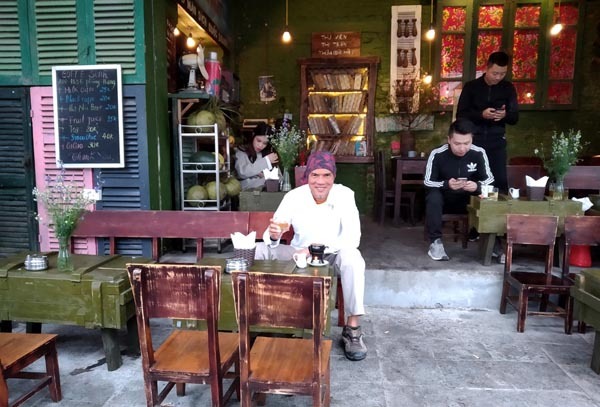 They are crafty in herding unsuspecting tourists (you will notice no local eats there) and serve them the Bun Cha without asking them (because it's the only thing they sell). You'll just be jolted when you receive the bill. I was had for VND 90k! 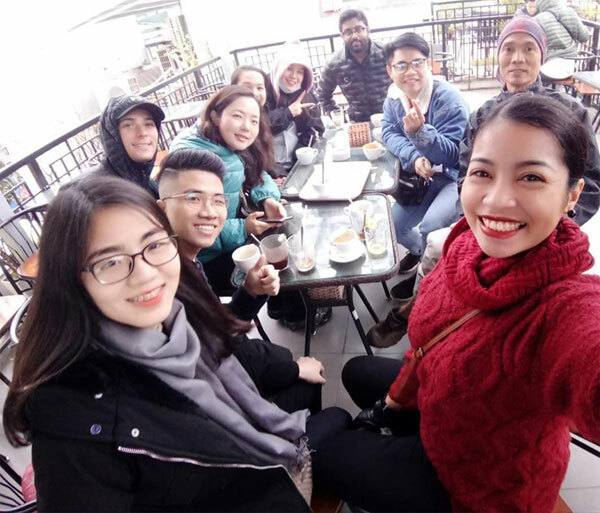 Vietnamese smokers will smoke in air-conditioned establishments, air-conditioned buses packed with people including women, children and babies. They also smoke inside hospitals with no smoking signs.